Mount Osore (恐山), or Osorezan, is one of the most sacred places in Japan along with Mount Koya and Mount Hiei. 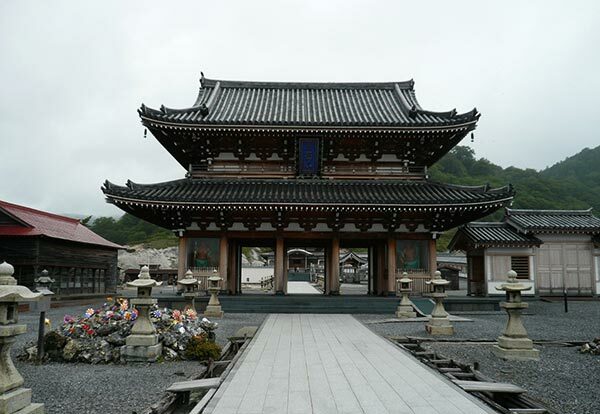 It was established as such in 862 AD by Jikakutaishi a Buddhist monk. Located in a center of the remote Shimokita Peninsula in Aomori Prefecture, it is not an actual mountain, but rather a caldera volcano. At 879 meters high, its last eruption was recorded in 1787. 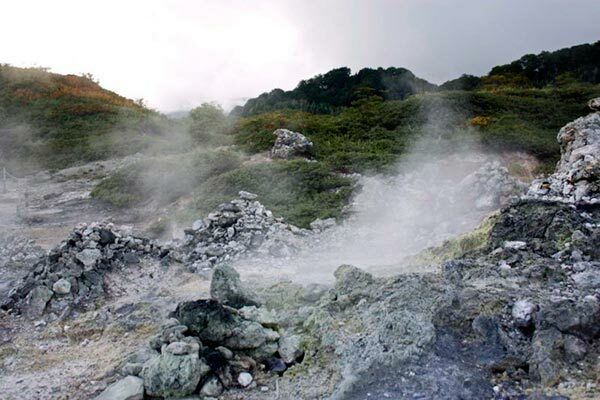 However, there has been slight volcanic activity throughout the past century, which is why many locals refer to the mountain as “Yakeama” or “Burning Mountain”. Osorezan literally means “fear” (恐) and “mountain” (山). 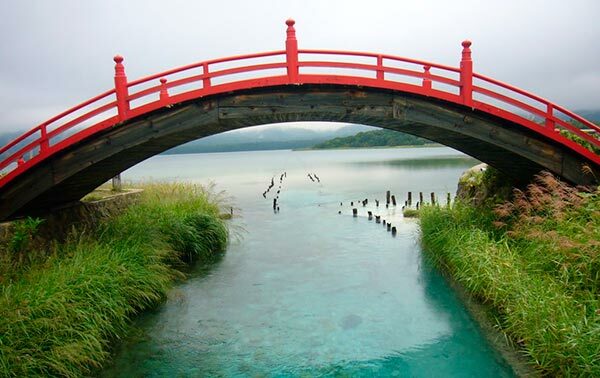 According to Japanese mythology, it marks the entrance to Hell, and when you look at the place it’s easy to see why. The small stream running through the area is said to be like the Sanzu River, which is a river that deceased souls need to cross on their way to the afterlife. It is believed that this river is the boundary between the realm of the living and the dead. As I said, it is easy to see why this area has such a reputation given the landscape of volcanic wasteland, with howling winds and bubbling pits of unearthly hued sulfur and steam coming up from the vents. Osorezan is home to Bodai temple, and around the temple grounds there are millions of small Jizo statues. Jizo is seen as the guardian of children and the bodhisattva of Hell. They are believed to protect the site. As the protector of children there were many toys and children’s clothing around the site. These have all been left by people as offerings in hopes that they will have an easier time gaining entry into heaven. Be sure to examine the water while you’re there. 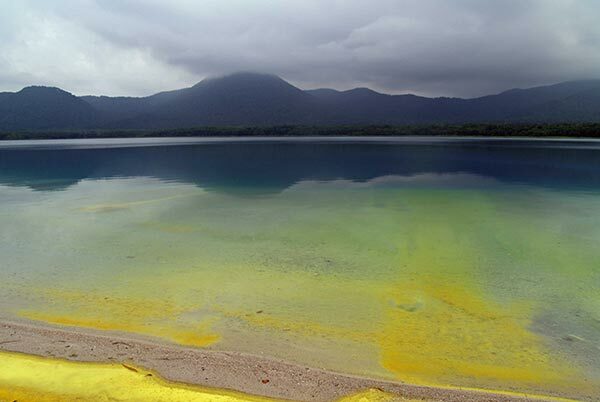 It has many different colors in it due to the high sulfur content. Nearby there is also a bridge, which is a popular spot to take photos. The bridge is named “Taiko Bridge” and it is said that bad people cannot cross the bridge, as they’ll only see a mountain of needles where the bridge should be. Be sure to allow enough time to full explore to area. There is a lot to see and unique landforms to be explored. The area is really interesting to photograph! The photos really don’t do this place justice, it’s just somewhere fascinating that you’ll have to visit for yourself.